1.International conference on Number Theory , Ergodic theory and Dynamics Dec, 22, 2011,SRC, Kumbakonam. 2. International conference on Legacy of Srinivasa Ramanujan, December 2012, SRC, Kumbakonam. 3. International Conference on Number Theory and Galois representations, December 2013, SRC, Kumbakonam. 1. NATIONAL CONFERENCE on VEDAS-THE TREASURE HOUSE OF MATHEMATICS(VTHM2012)Feb 17, 18, 2012, SASTRA University, Thanjavur. 2. National Conference on Graph Theory Generalization and Applications (NCGTGA 2012) Aug 20, 21, SASTRA University, Thanjavur. 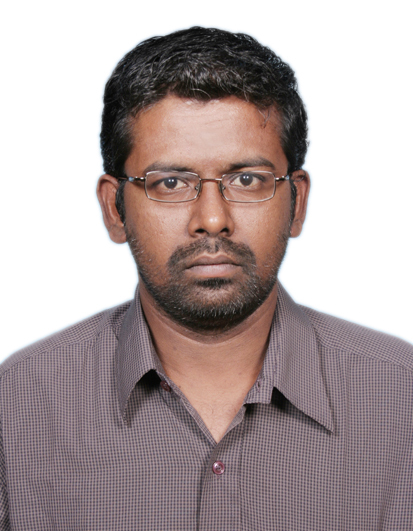 3.Presented a paper at the National conference on frontiers in analysis and differential equations (NCFADE 2012) Bharathidasan University, Trichy. State analysis of time-varying singular nonlinear systems using Legendre wavelets Proyecciones Journal of Mathematics 2015 S.Raja Balachandar; S.G.Venkatesh; S.K.Ayyaswamy; S.Balachandran.